GEOKON continues to be a proud supporter of the Mascoma River Greenway Rail Trail development, a reclaimed railbed extending 57 miles from Lebanon to Boscawen, New Hampshire. The Rail Trail passes directly behind GEOKON’s facility and is used year-round for recreational walking, running, biking, skiing, and snowmobiling. Many GEOKON employees take advantage of the trail during work breaks and a crew of employees volunteered to help move and cut large debris and brush from one of the final sections of the trail to be completed. 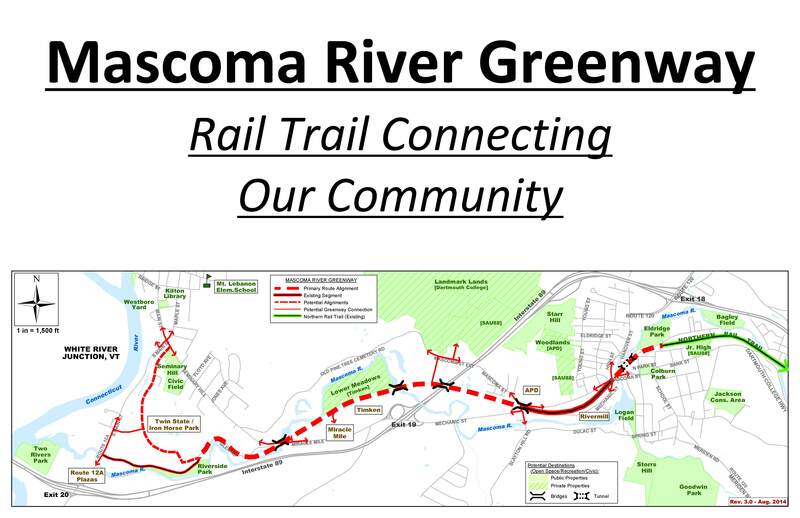 For more information, please visit the Mascoma Greenway Rail Trail website. Map showing the planned Mascoma River Greenway Rail Trail in the Lebanon area.